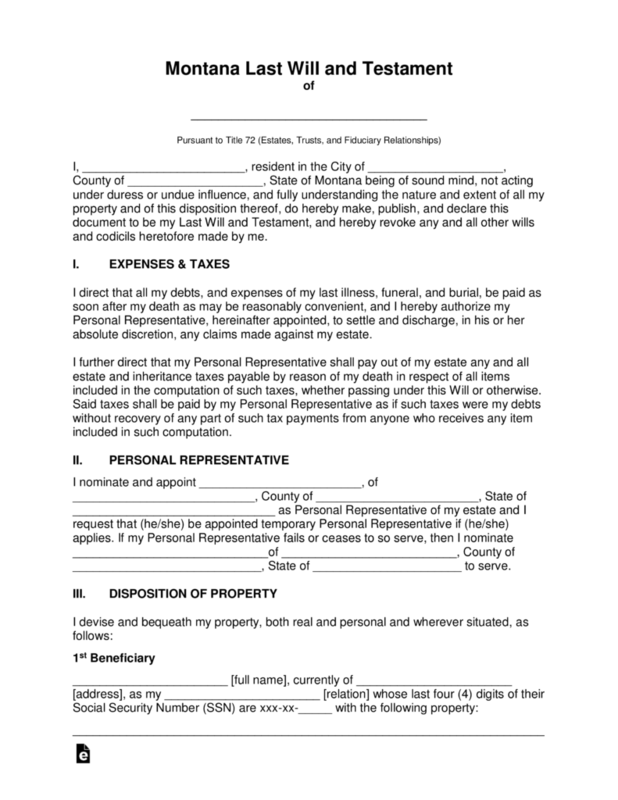 The Montana last will and testament is a document that is considered legal in the state of Montana in determining how a testator will distribute his or her estate upon death. This document will provide information as to exactly what portion of their estate will be be provided to their beneficiaries. The document will provide continued protection to immediate family members as well, it may state property that they may wish to provide as gifts to friends or charitable organizations. 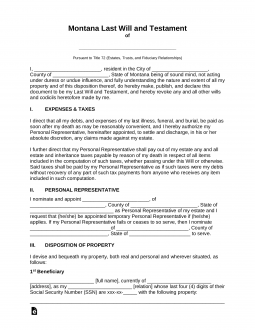 This document will require two witnesses and the witness of a notary public. It may also be revoked or changed at any time. Signing (Section 72-2-522) – Needs at least Two (2) or more credible Witnesses. Step 7 – Notary – Shall complete and authenticate the remainder of the form.